Before you do any driving you’ll be asked to perform an eyesight check and then be asked a vehicle safety question at the test centre before moving off with one show me question on the move. You’ll then be tested on your general driving ability, including one reversing exercise. You will be asked to drive without step-by-step instruction from the examiner for about 20 minutes, showing that you can make decisions by yourself. You will be asked to follow directions from a sat nav! One in five tests will not use a sat nav but ask you to follow a series of Road signs. The examiner will always ask you to pull up at the side of the Road before using the sat nav or asking you to following Road signs to a destination. They will not be given to you on the move. An appropriately insured and licensed vehicle, displaying L- Plates, that’s suitable for the test – don’t worry my School car is perfect for the job and readily available! 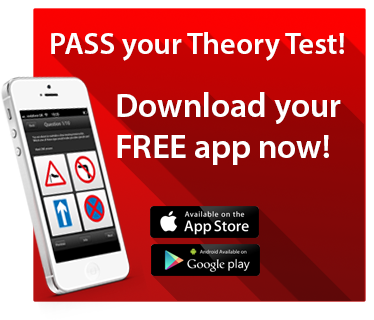 The appropriate theory test pass certificate. Your appointment letter confirming your test time and date. Your photo card licence. If you don’t take your licence, your test will not take place and you’ll lose your fee. If you have an old-style paper licence, you must take your signed driving licence and separate approved photo identification with you. Think positive: Before you start a manoeuvre, repeat to yourself three times silently “this is a piece of cake”. Think positively at all times. You can do it! Have I already failed? If you feel you’ve made a mistake, don’t instantly assume you’ve failed it may only have been a minor fault. Put it behind you and carry on driving as well as you can.